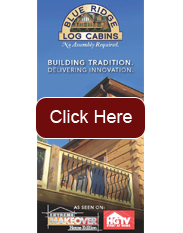 We can help you fulfill your dream of owning a log home. Our unique process removes the worry and hassle. Thought you folks might enjoy seeing how lovely our home is looking. We are grateful for such a wonderful place to live and call our own. In another year or two it will look truly spectacular and all the trees (including over 2 dozen fruit tree – cherry, peach, apple, plum, pears) and shrubs (incl rhododendrons, black & blue berries, raspberries and even a kiwi) really take hold and flourish. Frequently we give thanks for it with our meal blessing. 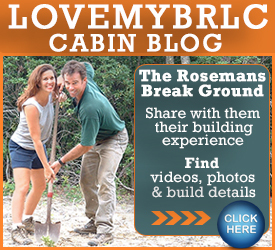 Thank you for all you have contributed to our happiness and to that of all the other BRLC home owner families! Merry Christmas and Happy New Year to you all! Celebrating a Quarter Century of Excellence! 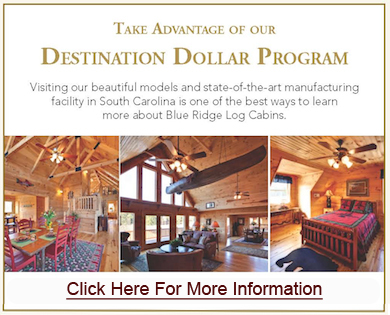 “Blue Ridge are well deserving of this award, they have an impressive production plant and produce some beautiful homes as reflected by winning this award." Click Above for Behind the Scenes Photos & Video.